We received a question asking if there is any way to create YouTube account without Gmail, Google account or phone number. This is an interesting question and I thought it will be useful to also share the info with other readers. 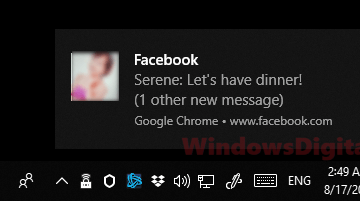 Creating YouTube account without a Gmail or Google account is only possible if you have an existing email account that is not Gmail, such as Hotmail, Yahoo Mail or other email services. 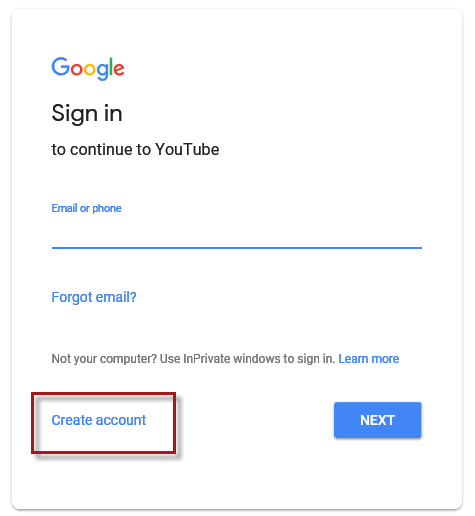 If you prefer to use your existing email account (instead of getting a Gmail for free) to sign up for a YouTube account, here’s how to do it. Go to Youtube.com on your browser. Click on the Sign In button at the top right corner of the webpage. On the Sign In form, click on the Create account link. Enter your name, your existing email address, and your desired password. 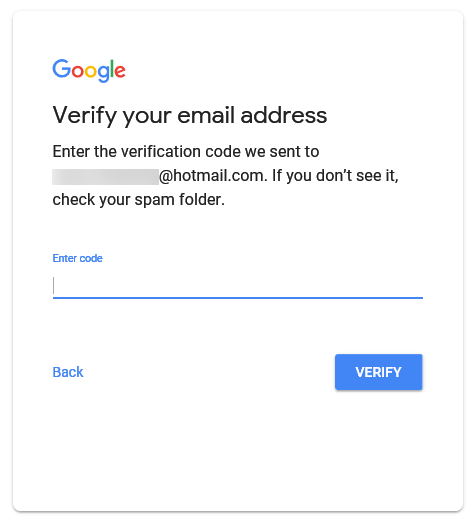 Google will then send a piece of verification code to that entered email address. Check on your email account. Copy the code and paste over to the Enter code screen. Click on the Verify button after entering the code. Follow the rest of the on-screen instructions to complete the sign up for YouTube account. When the account creation is successful, you can then sign into YouTube.com using that particular email address. Well, no, you can’t create YouTube account without an existing email account or without first signing up for a Gmail or Google account. You can, however, create YouTube account without Gmail or Google account by using an existing email account that is not Gmail. Follow the guide above to do so. 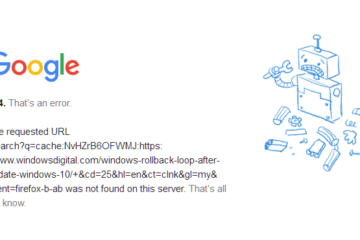 Many years ago when YouTube newly appear on the internet, it used to be separated from Gmail and all other Google products. In fact, nearly all Google products needed different accounts and logins. Since few years back, Google has combined all of its products so users can sign into any Google products with only one single Google account. They used to call it One Account All of Google. 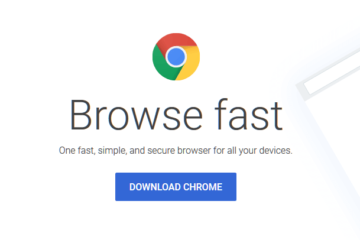 This means that when you register a Google account, you get to use Gmail, YouTube, Google Plus, Google Maps, Google Docs, Google account for Chrome browser, and more, with a single account. By registering a Google account, it doesn’t mean that you must also own a Gmail account. You can register a Google account with an existing email address that is not Gmail. It’s just an email address Google uses to recognize that it is you. 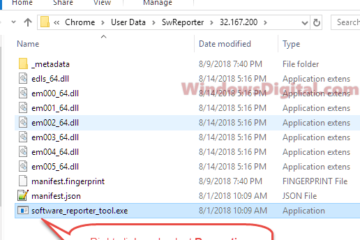 If you follow the instruction about creating YouTube account without Gmail as outlined above, you can access to other Google products with that account. When you click the Sign Up button on YouTube.com, it will redirect you to the Google’s account sign up form. After signing up, you will be redirected back to YouTube.com with your registered account signed in. As for creating YouTube account without phone number, it is of course possible. By default, the phone number field is just an optional field on the Google account sign up form. It is recommended so that Google can recover your account by contacting you via your given phone number if you ever lose your account by accident. However, there are some scenarios and conditions where a phone number is required and compulsory when creating a YouTube or Google account. The most common scenario is when you have already signed up for multiple YouTube or Google account, Google will ask for your phone number if you attempt another sign up. 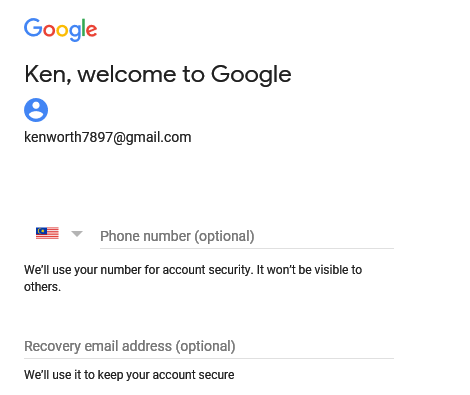 When Google detects unusual activity that looks like a spam, including too many YouTube or Google accounts being signed up, it will ask for phone number for your next Google account sign up. If you don’t provide one, they won’t allow you to create any more account with them. If you already have an existing Gmail account, just sign into YouTube by clicking the Sign In button usually at the top right corner of YouTube.com homepage. 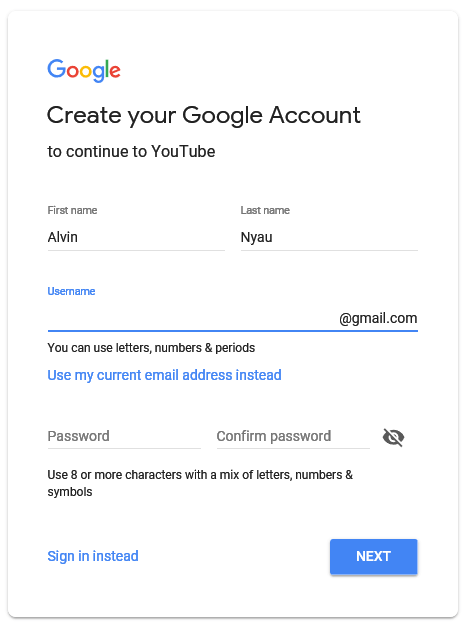 If you don’t have any Gmail or Google account and you would like to sign up for one, go to www.YouTube.com or Google.com (basically any Google product’s page will lead you to the general Google account sign up form). Click on the Sign in button. Then, click on the Create account link. Enter your name. Instead of entering an email address, click on the Create a Gmail account instead link. Think of a desired name for your new Gmail.com email address. You can use letters, numbers and periods in the name creation. Next, enter your desired password twice. Click Next to continue. 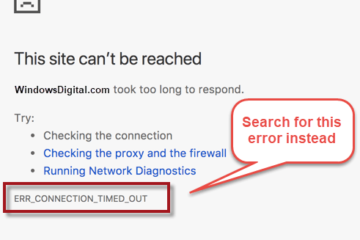 Follow the rest of the on-screen instruction to complete the sign up for your new Google account. 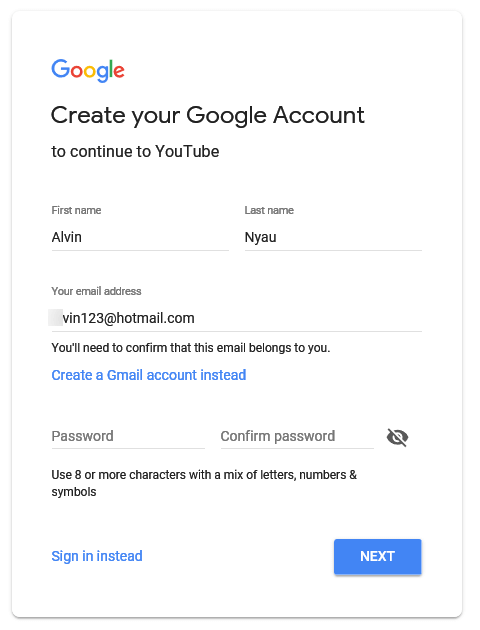 After the account creation is completed, you can then sign into YouTube.com with your new Gmail address, also known as your Google account. 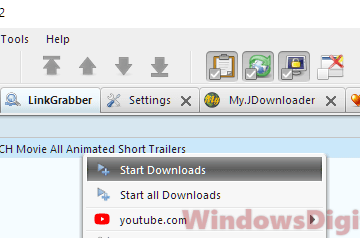 Description for sharing: A detailed guide on how to create YouTube account without Gmail, Google email or phone number, and how to sign up for a YouTube account.